Prompted by the briefing and session today I wanted to look more into interactive print, both technology and non-technology based. I think it is important to know the boundaries of print are being pushed further allowing more interesting and innovative concepts and ideas to be brought to life. 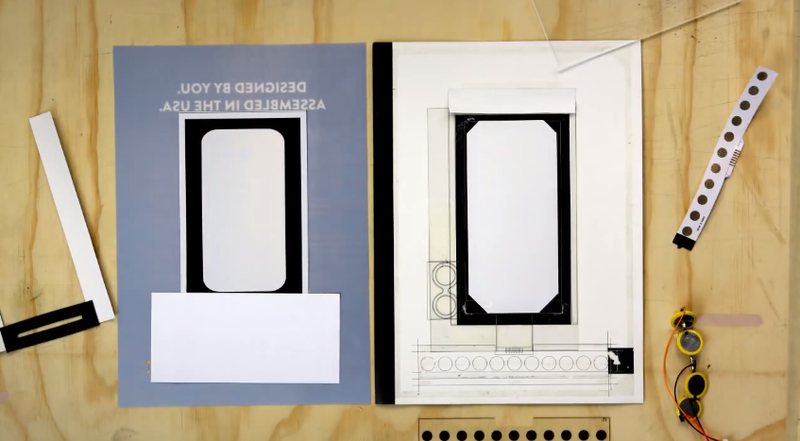 Below showcases examples of interactive print. "Interactive print advertising, focuses on involving the reader or potential customer with clever and tactically placed print advertising. Since most interaction between a company and customer are done through digital means (ex: social media, email, website), cleaver interactive print design is a surprising dynamic dialogue between print matters and individuals in real life, enticing them to think about what they see. Maximising the hands-on potential of print, advertising can reconnect us with these pleasures and at the same time help secure the future of this much-loved medium. 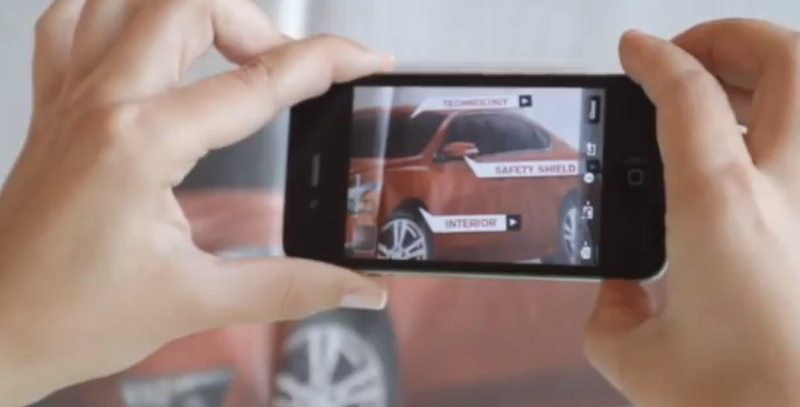 Whether it’s inviting people to take a funny picture, solve a puzzle or test drive a car, this work is testament to the enduring power of real-time, real-life interaction." Perforated pages revealing a message. Interacting with the printed page and design elements itself. 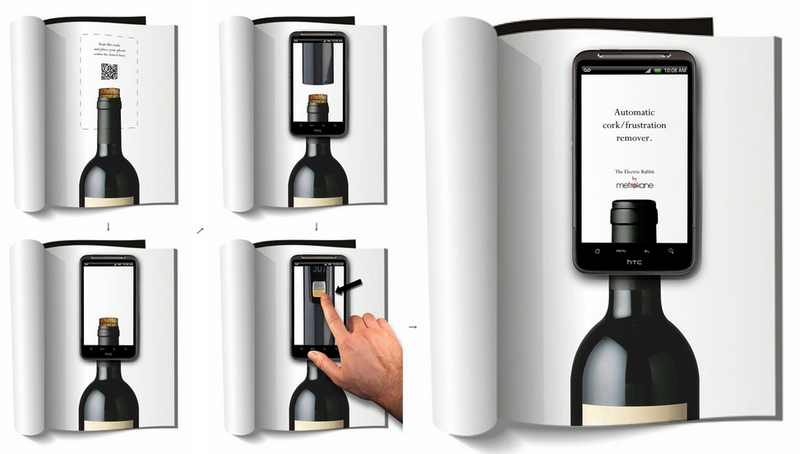 The perfect way to un-cork a bottle' activated on smart phones when the QR code is covered. By scanning the code, this takes you to an online and interactive application. 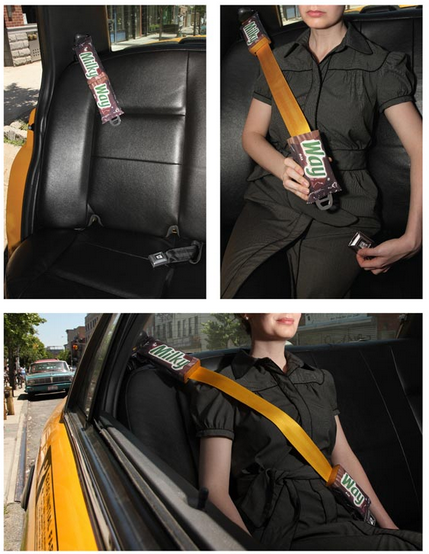 New Milky Way endorsement in the US. VW advertisement. 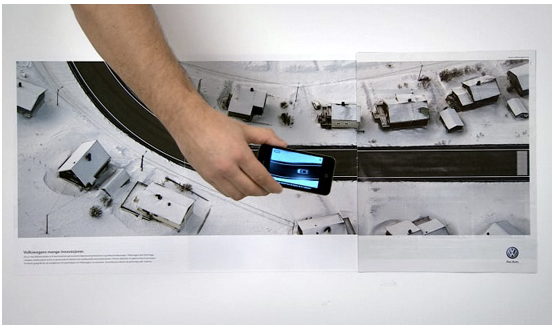 When the road is covered after scanning the QR code, a car is revealed driving where you hover the phone. Interactive engagement in printed material. 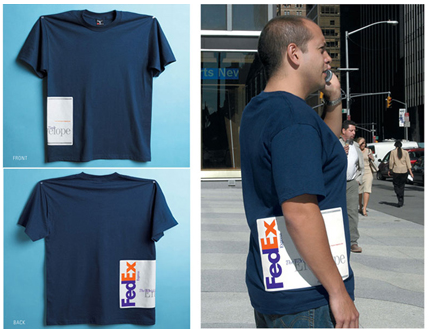 T-shirt mimicking the user holding a parcel. Fun and fresh. 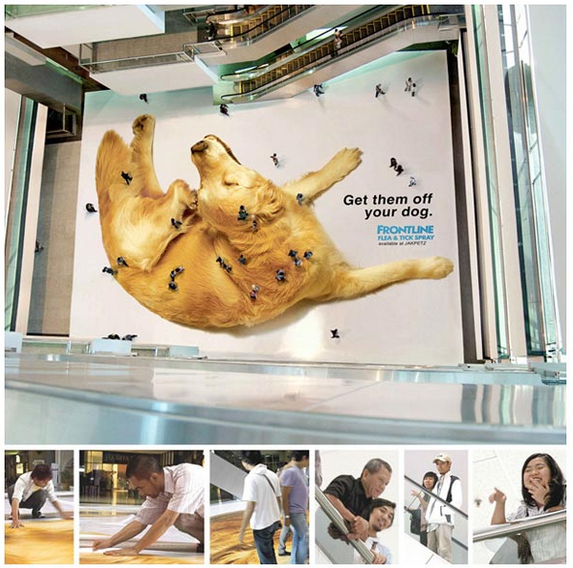 By walking over the vinyl floor sticker, from above the people look like fleas showing the dog itching his ear. 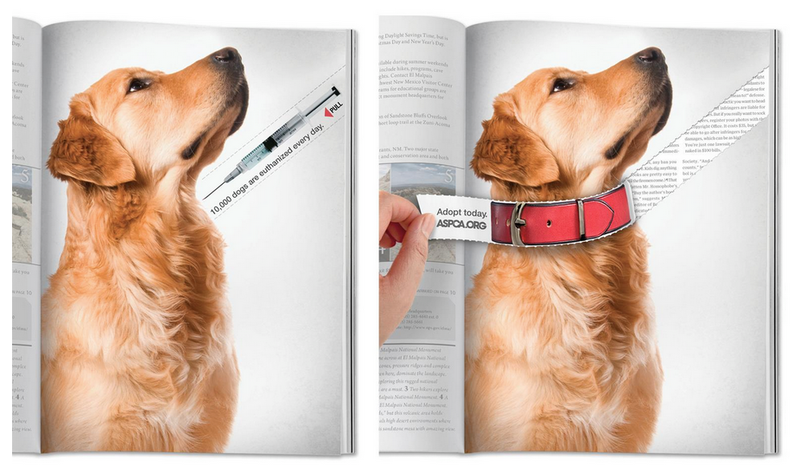 A very clever concept of allowing interaction with printed media in a subtle manner. 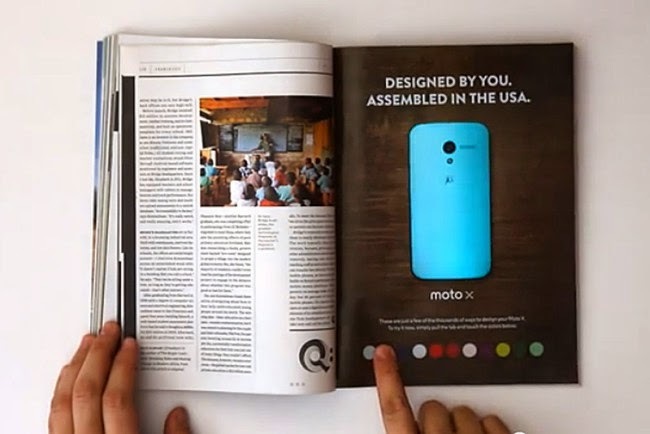 The new MOTO X phone advert allows the colour of the facia to change by pressing the relevant colour. The inner workings can be seen above. This was featured in Januarys Wired magazine. When the code is scanned the lock closes. 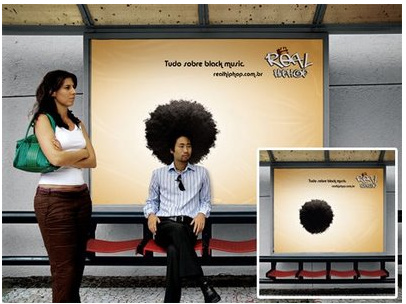 Additional interactive element to the advertisement. 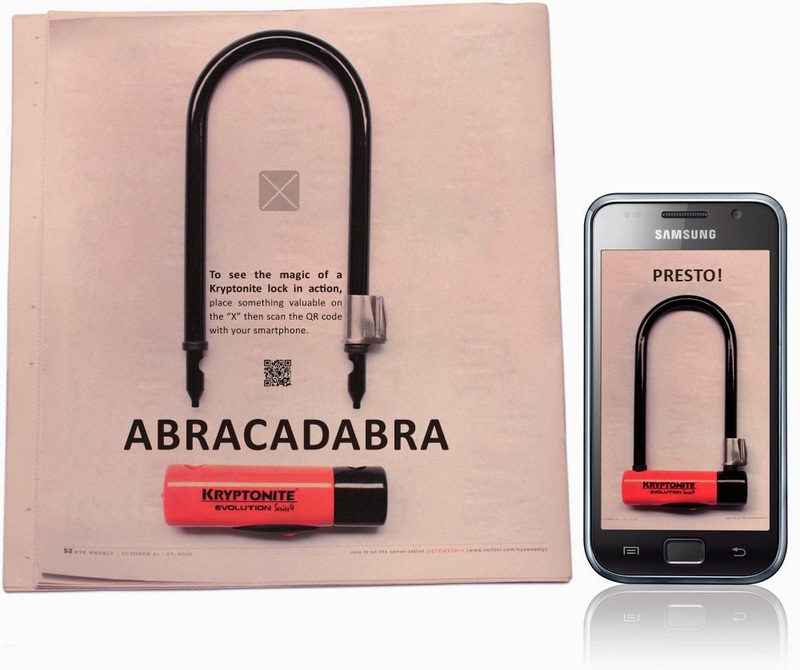 Additional details can be viewed by holding a phone in front of the product in a magazine.